Author: Sakamoto, Kerri Set In . . .
From the award-winning author of The Electrical Field comes this riveting story of love, guilt, and complicity in the context of war. Miyo and her father, Masao, live a reclusive life in Toronto. When Masao dies, Miyo discovers he harbored a secret life, including a previous wife and child. Miyo travels to Tokyo to meet Hana, her half-sister (who is obsessed with their father's war history) and is shocked to learn he was a member of the Special Attack Forces-a kamikaze. But if these pilots' code of honor required death, how did their father survive? 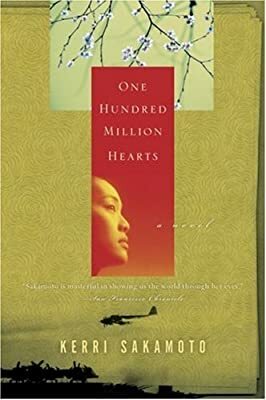 Miyo learns the meaning of the Japanese wartime propaganda phrase "one hundred million hearts beating as one" as she travels through her father's past and his native land's present, witnessing the complex and lingering consequences of war.